THE MINI CARDBOARD CAKE BOXES INITIALLY DO NOT COME IN SEALED PLASTIC PACKAGING. Here is #4 from the Re-ment "Elegant Sweets" series from 2006. 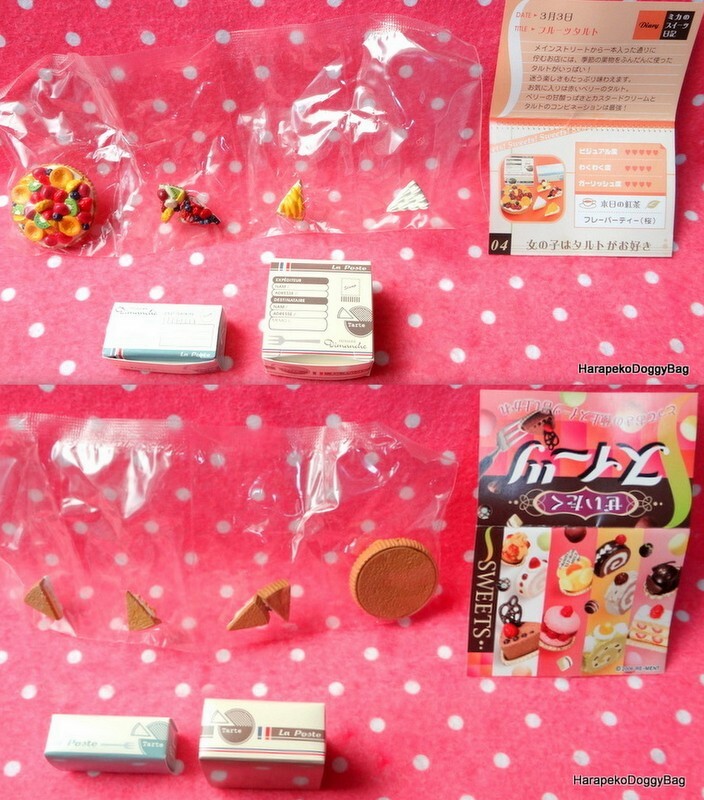 Keywords: Re-ment, Rement, Japanese Toys, Miniatures, Dollhouse, Doll House, Puchi, Mini, Kawaii, Cute, Elegant Sweets, Fruit Tart, Box, Cake, Dessert. Below are sample photos of the front and the back of the set with the info card. The mini cardboard cake boxes initially do not come in any sealed plastic packaging.